1. Soak tamarind in 1/2 cup water. Extract juice from it. 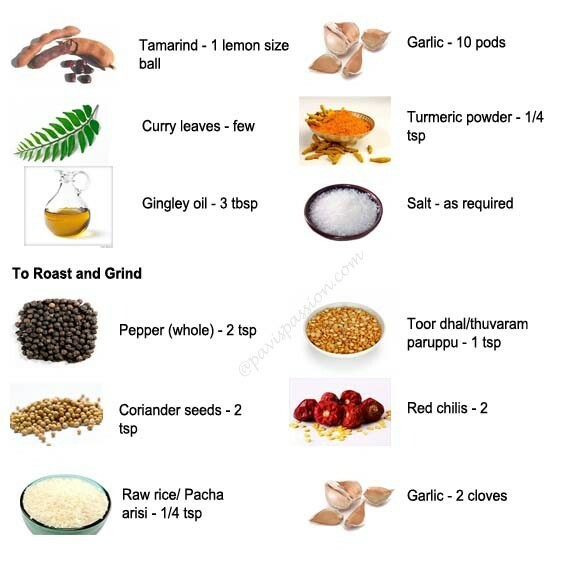 Take the ingredients in roast and grind column(pepper, toor dhal, coriander seeds, garlic and red chilli). Peel the garlic and remove the skin. Roast all these in 1 tsp of gingley oil. 2. Grind the roasted ingredients in a mixer grinder into a fine powder and keep it aside. 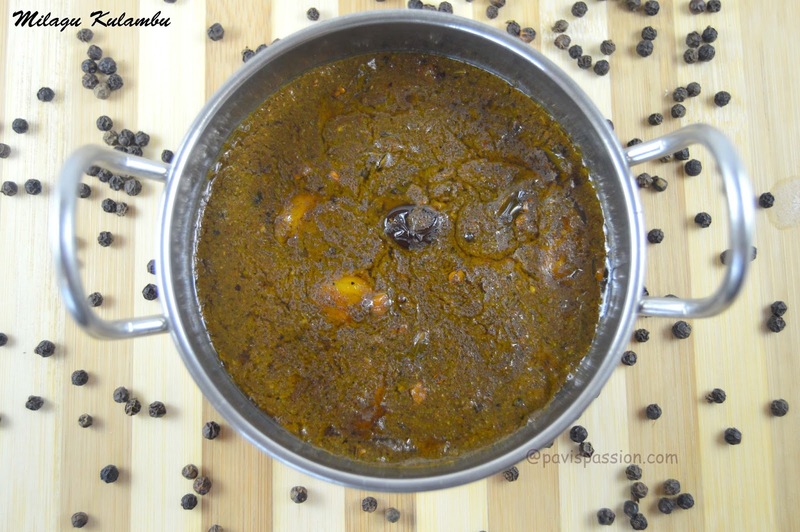 Heat 1 tbsp of gingely oil in a kadai add the temper ingredients mustard, fenugreek seeds, red chilli and make it sputter and then add garlic and curry leaves and roast until little brown. 3. Then add the tamarind extract into it and roast and grounded powder to it and mix well. 4. Boil the gravy until oil float on the top. 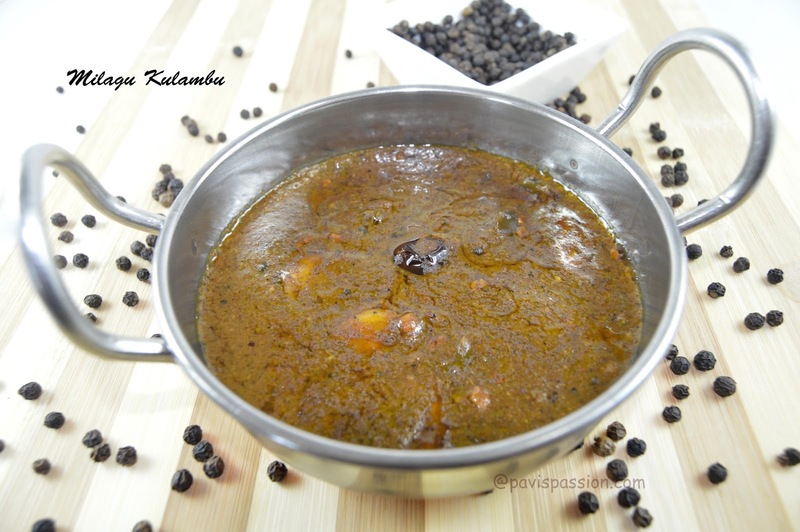 Milagu kulambu\ Pepper kulambu is Ready. Serve Hot with Cooked rice mixed along with 1 tsp of gingley oil.